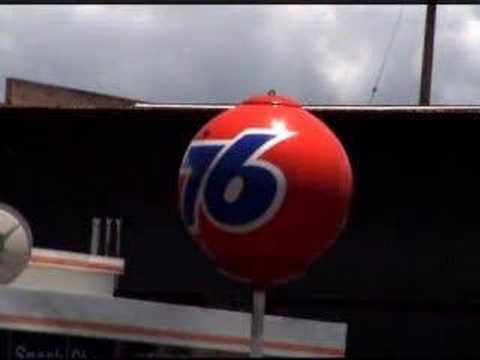 A tip o’ the pin to Bill Griffith, who has for the second time honored the endangered 76 Balls with a visit from their pal Zippy. This strip also references our own Earl Ma, whose photo and video documentation of the 76 Balls of Honolulu and Los Angeles offers bittersweet cause for reflection in anyone who loves classic design. We dig this rallying cry: NO NIX 76!